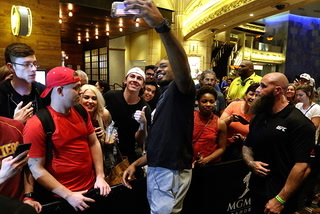 UFC middleweight champion Robert Whittaker was going to keep his belt regardless of the outcome of his UFC 225 main event bout against Yoel Romero at United Center in Chicago on Saturday night. He certainly wasn’t going to look for an easy way out even though the title wasn’t on the line due to Romero missing weight. 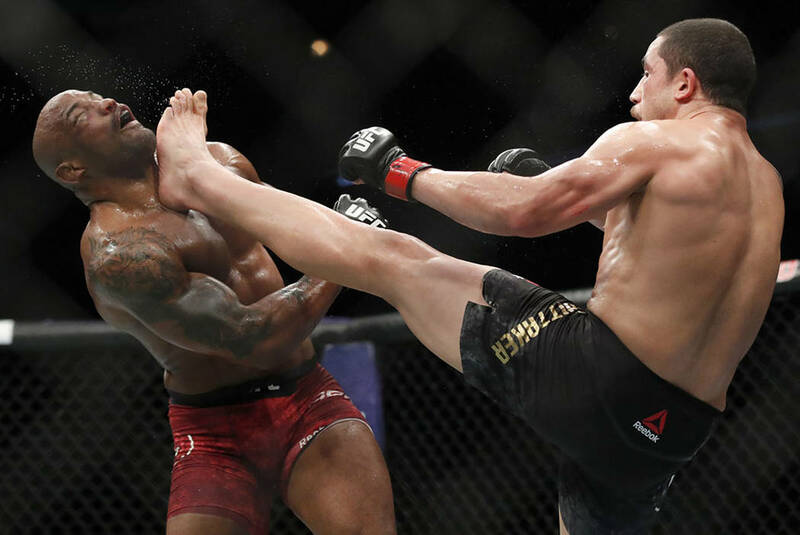 Whittaker withstood several massive shots and held on for a split-decision victory in the wildly entertaining rematch of a fight Whittaker won last July to first claim the title. Whittaker won the first two rounds on all three cards and was awarded the fourth by two of the three judges. Romero failed to pick up any 10-8 rounds despite a dominant final five minutes as Whittaker was bloody and appeared to be working through injuries to his hand and knee. 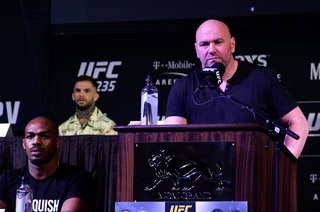 “It is my humble opinion that I did not lose tonight,” said Romero, who also pinned much of the blame for missing weight by two-tenths of a pound on the Illinois State Athletic Commission. Romero’s only two losses since 2011 have come against Whittaker. 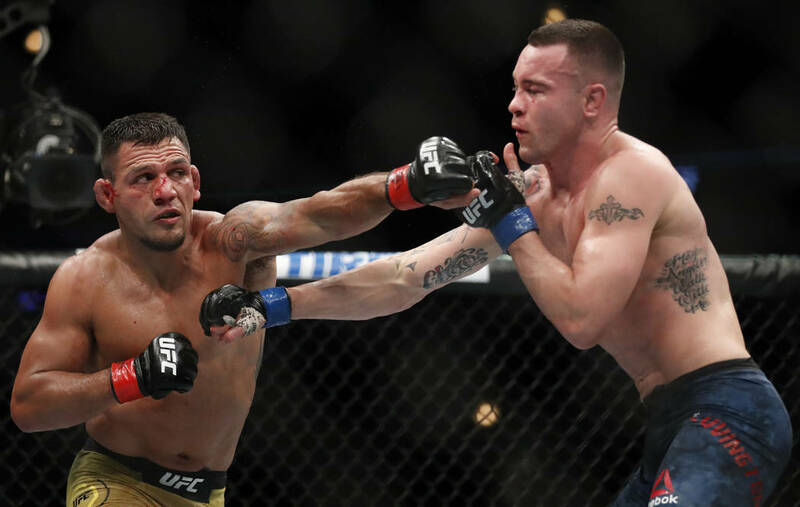 Colby Covington, the living embodiment of a Twitter troll, captured the interim welterweight title with a unanimous decision win over former lightweight champ Rafael dos Anjos and immediately launched into his shtick. 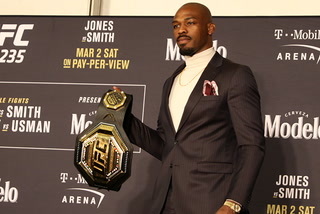 “I’m bringing this belt to the White House and putting it on Donald Trump’s desk,” he yelled into the microphone during his postfight interview. 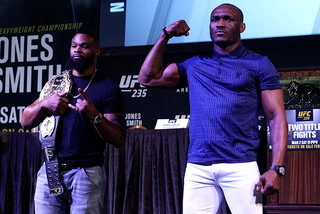 Covington has rocketed to notoriety through a variety of racist, sexist and jingoistic diatribes, but he has done it while winning six straight fights and now has a likely future matchup with former training partner and current welterweight champion Tyron Woodley. Former women’s bantamweight champ Holly Holm may have earned herself another shot at the featherweight title as she dominated newcomer Megan Anderson, who had been targeted as a potential opponent for champion Cris “Cyborg” Justino. Holm may have earned that rematch for herself with the win. 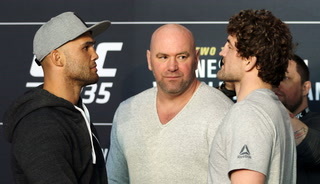 Heavyweight Tai Tuivasa remained undefeated by capturing a narrow split decision over former champion Andrei Arlovski. Tuivasa, who had never been out of the first round in seven previous fights, improved to 3-0 in the UFC in his most challenging bout to date. 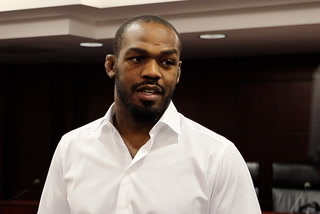 Mike Jackson recorded his first career victory with a unanimous decision over Phil Brooks, who formerly wrestled under the name “CM Punk” in the WWE. 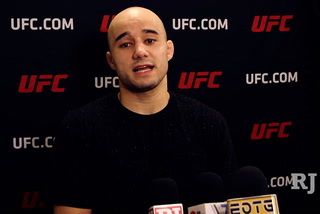 It was the second career fight for Brooks, who was submitted in September 2016. Las Vegan Claudia Gadelha highlighted the preliminary card with a split-decision win over former women’s strawweight champ Carla Esparza. 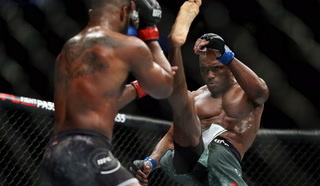 Heavyweight Curtis Blaydes extended his winning streak to five with a third-round knockout of Alistair Overeem with elbows on the mat. Featherweight Mirsad Bektic picked up the biggest win of his career with a split decision over veteran Ricardo Lamas. 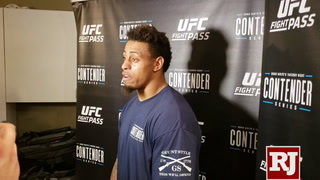 Heavyweight Chris de la Rocha outlasted Rashad Coulter in a war of attrition that was stopped late in the second round with Coulter unable to improve his position as de la Rocha grew tired of punching him. Flyweight contender Sergio Pettis was awarded a split-decision over Las Vegan Joseph Benavidez, who was returning from injury after more than 18 months. It was the first nontitle bout loss for Benavidez since 2009. 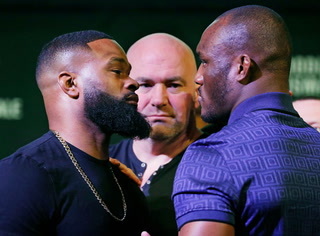 Anthony Smith needed just 53 seconds to knock out former light heavyweight champion Rashad Evans, who has now lost five consecutive fights. Also on the card, Charles Oliveira submitted lightweight Clay Guida in the first round and Dan Ige needed just 50 seconds to knock out featherweight Mike Santiago. 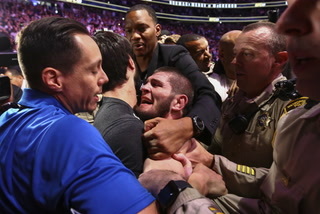 More MMA: Follow MMA and UFC coverage at CoveringTheCage.com and @CoveringTheCage on Twitter.